RUCK takes look at some of the memorable moments that have happened on this day in the remarkable history of Rugby Union. 1897: The first time players wore numbers was on this day when Queensland faced the All Blacks and it quickly spread to the full international game. 1971: The British & Irish Lions bounced back from their Test defeat to the All Blacks with a 25-6 victory against Hawke’s Bay with Gerald Davies stunning the Napier crowd with four tries. 1975: Robbie Fleck – he is a former rugby union footballer who played at centre for South Africa, winning 31 caps. He also played for Bath Rugby in the English Premiership for a number of seasons. 1979: Alister Campbell – He began his carrer woth SW Waratahs in 2003, but subsequently joined Canberra where he played four seasons with the Brumbies, a move that was rewarded with gaining selection on the 2004, 2005, and 2006 Wallaby Spring Tours to Europe and the UK. In 2008 Alister took the opportunity to broaden his rugby horizons and accepted an offer to join Montpellier and play on the Mediterranean coast in France’s Top 14 before in 2011 returning to Super Rugby with the Melbourne Rebels. 1989: Kyle Eastmond – After starting in rugby league with St. Helens Kyle Eastmond crossed to the 15-man code, arriving at Bath Rugby in 2011. In 2013, the centre earned the distinction of becoming a cross-code international. He’s currently a free agent following two years with Wasps. 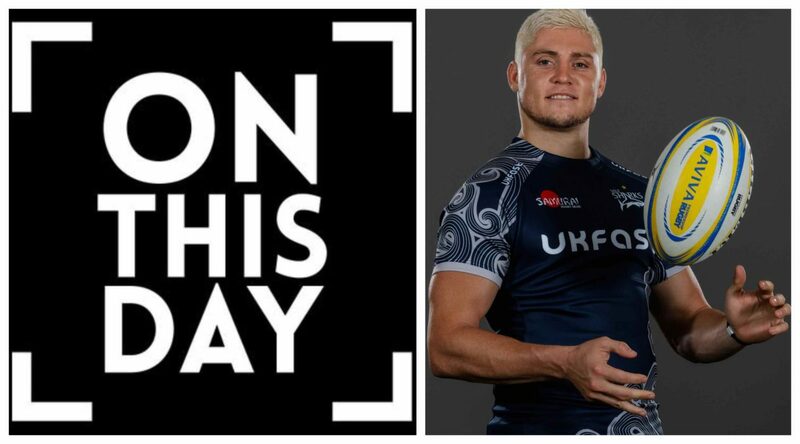 1990: James O’Connor – The utility back has won 44 caps for Australia and was playing Top 14 rugby in France since 2015 before joining Sale Sharks in 2017. He is the second-youngest person to record 100 points in Test Rugby, behind English Rugby World Cup-winner Johnny Wilkinson.